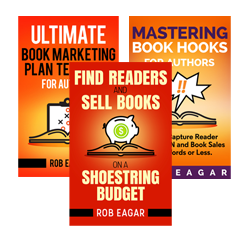 After coaching over 450 authors, I routinely get asked, “What is the single best book marketing tactic?” There are good arguments for all kinds of options. But, based on my experience, only one book marketing tool consistently stands out – email newsletters for authors. A 2016 Custora e-commerce study found email is 12X times more powerful than Facebook and Twitter at acquiring online orders. Recently, I helped an author who had over 500,000 fans on Facebook launch a new book. We tracked the results and found less than 1% of Facebook followers made a purchase. People check email several times a day, and they receive what you send them. Facebook hides your own messages from up to 85% of your fans…unless you pay for sponsored posts or buy advertising. Email open rates are 17 – 25%. Facebook recipient rates are 5 – 15%…if you’re lucky. You have no control over Facebook, and they could easily get hacked. But, you always have control over your email list. Email requires only 2 – 4 sends per month. Social media requires 1 – 2 posts per day…per platform. That’s a lot of extra work. Let me set the record straight about email marketing: If you send emails that offer value to the reader, you can NEVER over-communicate and risk offending people. For example, I worked with a client who sends daily emails to over 800,000 people. Those subscribers aren’t offended. They find a lot of value in the daily emails. What are the most common questions that I get from my readers? What are the most common problems that my audience wrestles with? What have I learned in the past month that would benefit my readers? I recommend weekly tips for email newsletters because it takes less than an hour of your time to create and forces you to write concisely. Also, people tend to prefer bite-sized pieces of content when reading email messages. In addition, the weekly tip technique allows you to take a big idea and break it down into several smaller nuggets. This gives you the ability to create several newsletter issues based on one central topic, which also saves time. For example, if you’re under a tight deadline to finish your next book, use short weekly tips to stay on schedule and stay connected with your readers. In many cases, you may have content to share that goes beyond a short weekly tip. I call this longer form type of newsletter element a “feature article.” Typically, the length might be 750 – 2,000 words. Obviously, that’s too much material to paste into a compact email template and expect people to read it all. However, this element creates a helpful benefit. Ultimately, you want your audience to spend time on your author website, rather than just reading your emails. People can’t purchase anything in an email. But, they can buy products from your website. How do you drive people to your website? Use the opening part of a feature article in your email newsletter to send people to your website blog. Insert the first 3 – 4 paragraphs of your feature into your email template. Make the last sentence end with a provocative teaser to keep reading. Then, display a link to your blog to read the article in its entirety. On your blog post, you can display links at the end of your feature article to buy your books. When developing ideas for feature articles, look no further than past manuscripts or research conducted for your books. If you write non-fiction, use excerpts from your books that give people advice or inspiration to deal with conflict, relationships, finances, organize daily priorities, work more efficiently, etc. If you write fiction, create feature articles based on research from your novels. For instance, if you write mysteries or thrillers, you could provide information on home security tips, law enforcement procedures, or real-life details about the locations for your stories. Use feature articles to display your expertise and provide value to your audience. I’ll confess that I’m an old soul in a middle-aged body. I tend to be a private person who can’t relate to millennials displaying the minutiae of everyday life online. However, I coach numerous authors who enjoy showing fans behind-the-scenes glimpses of their work and home activities. Those personal moments can make great elements to put into email newsletters. Embed a short video from your office with updates about your next book. Show images enjoying your favorite hobbies or non-profit activities. Insert behind-the-scenes pictures from your personal writing cave. Most of your email subscribers are not writers. Therefore, they are fascinated by someone who can create a book or write a novel. Give people glimpses into your real life as an author. Another effective element for email newsletters is sharing helpful links, articles, or online tools that you find on the Internet. Regardless of your genre, you can pass along interesting articles, humor, short stories, books, and software apps. Your readers want to know what you enjoy. Plus, a side benefit to spreading word of mouth about other products is those authors or organizations may return the favor and tell their audience about you and your books. If you hit writer’s block trying create effective email newsletters, don’t forget this backup plan. Recruit other authors to provide a “guest post.” Letting other people contribute content is a great way to save time and spice up your regular emails. Many people would love the exposure gained by providing material to your audience. And, your audience won’t care if the material doesn’t come from you – as long as it’s considered helpful information. However, be sure to maintain control over the content and tone of any guest posts. You want the outside contributor to feel like a natural fit for your readers. Clarify the type of articles and topics that you prefer for your email newsletters. Review all submissions beforehand before sending them out to your subscribers. You may find it easier to create a list of article topics that guest writers can use as a guide. Then, put out a call for submissions whenever you need fresh content and are pressed for time, such as working on your next manuscript. Pulling content from your book into a feature article is a good idea. But, you can’t rely on content alone to capture the sale. Instead, you want part of your newsletter to feature a picture of your book cover, a brief description, and a clear call-to-action to buy the book. Order in the next 48 hours, and get a 30% discount! Buy now and get this bonus item for free! Only 50 units left – get while supplies last! Your only chance to get an autographed copy! Using the power of incentives and language that creates a sense of scarcity will encourage people to take action. When it comes to email newsletters for authors, these six simple elements are the keys to success. Feel free to vary each issue, and go for a mix of sending weekly tips, feature articles, behind-the-scenes info, personal recommendations, and guest posts. Be sure to include a featured product with a call-to-action in every issue and you’ll get good results. If you want to sell books like wildfire, email newsletters should be a regular part of your book marketing plan. 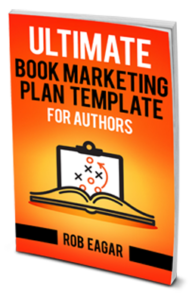 For a limited time, I’m giving away a FREE copy of my popular Ultimate Book Marketing Plan Template for Authors. This template has been purchased by over 250 fiction and non-fiction authors around the world. But, you can get yours for free!